News: Support RPPR with the new ransom game, Killsplosion! Get 10 preview AP episodes! Two office workers check into a banal hotel as a winter storm hits the city. Little do they suspect that the hotel is a nexus for unspeakable evil. This evil is not a man or an entity but the hotel itself. Brace yourself for a blast of architectural horror from RPPR! Yey! A COC AP for Halloween! Thanks guys! door-to-door surrealism is awesome. 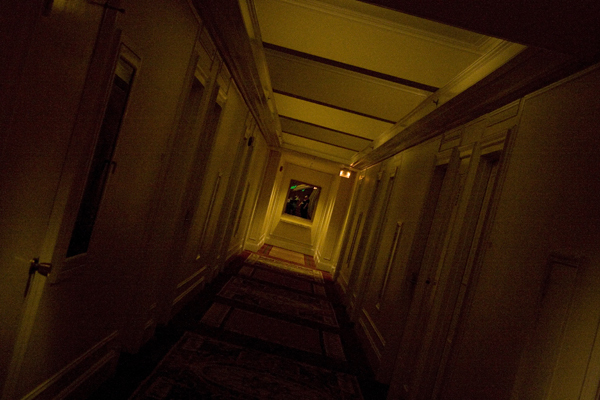 reminded me of the last few minutes of the Shining, with Shelly Duvall running from room to mysterious room. just needs more bears giving blowjobs and you’re set. Is this the thing that spawned the quote about the ideal investigator for Ross’s games as Frank Lloyd Rambo? This is a great scenario! Ross ran this as one of the last ransom games, and hilarity ensued. Very cool to hear it as a smaller game, it holds up equally well. Awesome COC stuff! These King In Yellow scenarios all have that great Silent Hill-ish feel to them. So… does Tom cheat, or what? He makes almost every roll. I think Aaron doesn’t have the guts to crit his rolls. God, I love these CoC scenarios. Is it just me, or are they just getting better and better? Outstanding scenario. I like how immersive it was with bits and peaces from various places. Is it a published scenario? I would really like to run it with my group. Thank you for great two hours of intense ride. Yeah,the CoC episodes are the best ones. Wish there were more of them. Ross, you run a great CoC game! Loved this scenario and I would love to run this for my group! Just finished this session, cool. The ice machine from hell was a great touch. Everything sounded so realisticly sureal, like the trunk of the car having a staircase down. you guys did a great job on this, listening to the sessions are better than anything on TV. Can’t wait for the “King In Yellow” movie hinted at in the end. Ahh yes. Nothing like listening to Tom make his rolls. I love Tom, and his awesomeness at rolling dice. I was on a hot streak similar to his, I don’t think they last longer than two hours though. I started to get scared the more rolls I made. I was finally relieved when I failed one. Tom fails like maybe three total. I think its karma, or the lord of chance has finally heard my prayers. The scenario was cool too. As I ran Night Shift I’ll probably run this one at some point too. I ran Night Shift as an April fools game. It was glorious. Great actual play! This is an adapted version of Night Floors, right? An hour in and Tom has yet to fail a roll… Dude. You don’t get good at throwing polyhedrons. Maybe he has some extreme luck, but given Tom’s “confession” in whatever RPPR-episode, this gets quite annoying to listen to. Listened to the whole thing now; no Tom failed none of his rolls, but I hear Ross kinda called him out on it. So… yeah. I love you Tom, but I hope you don’t do this anymore. Is there any way to get a hold of this scenario? One of my favorite CoC scenarios – at least so far. I listened to it in an old empty house, which didn’t hurt, but the self-assured, slowly intensifying weirdness of this one is excellent throughout. It’s easy to see how the ideas in this scenario evolve into Ruin and I’m excited to see that implementation.